R&D Roofing installs a complete range of UPVC products including; guttering and drainpipes to divert rainwater away from your property; fascias to protect the ends of your rafters; soffits to enclose the overhang of your roof; barge boards to protect the ends of your roof timbers, dry verge caps to keep the lip of your roof looking neat and tidy, and various types of UPVC cladding to replace wooden or other aged external surfaces. The products are unable to biologically decompose through rainfall, and other weather patterns. uPVC Fasicas & Soffits will only ever need little maintenance due to the high levels of durability and resistance to weather. uPVC is extremely tough on impact, and will not change its shape. uPVC can be reshaped at very high temperatures and recycled making it a very sustainable product range. If your existing timber is in a good condition, but not rotting, R&D Roofing can overclad this with 9 mm uPVC timber fascia boards. However, if your timber is rotten, we can remove your fascia boards and replace them with solid uPVC, 16 mm thick mega fascia boards. The fascia boards are fixed using stainless steel poly-top pins or nails and all corners are preformed to provide a neat finish for your fascias. Fascia board is a common area that can de damaged and need repairs due to wear and tear and moisture. The Fascia board is an edge that is vertically finished and connects to the ends of the rafters or where the gutter is attached to the roof. The main function of the fascia board is to act as a layer between the edge of the roof and the outdoors. It provides protection against the water damage that could result in large damage to the wooden board after periods of rainfall. The Fascia is also aesthetically pleasing and provides long lasting protection from weather damage for the entire roof and the interior of the house, by blocking entrance to the home. R&D Roofing also fit 300 m/s 3 plank awboard soffits. These are fixed using stainless steel clad-pins and starter trims to give a neat finish to the job. A soffit is the exposed overhanging of a roof eave. The soffit is used to assist the ventilation of the attic through its designs which typically have small holes that provide air circulation. The air from the soffits moves towards the vents which draws the moisture and dampness out of the attic. R&D fit vinyl soffits which are the most durable and are able to withstand moisture. Further vinyl soffits are both water resistant and cost effective due to the material used, and the vents that help in regulating the temperature and humidity in the rest of your home. Other than UPVC Fascias & Soffits, R&D roofing offer different types of guttering that comes in all shapes and colours. 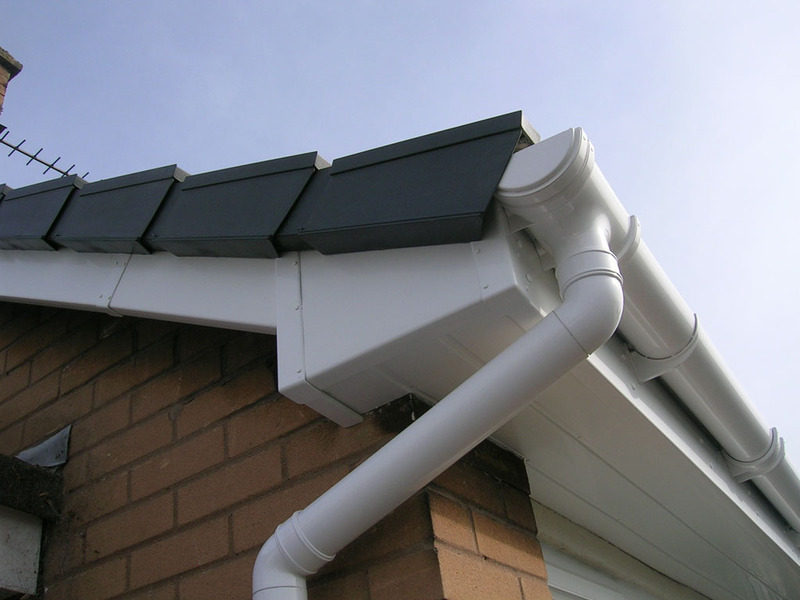 These gutters are fitted to the correct falls so the water discharges into your downpipes quickly.